Ratchet & Clank is ranked in the 95th percentile of games scored on OpenCritic. Ratchet & Clank stands on its own merits, never relying on fond memories of the 2002 PlayStation 2 original beyond knowing gags. You might be tired of being asked to buy the same game twice, or perhaps you've been burned before by a low-quality movie tie-in, but don't let that put you off, as this is one of the best console exclusives this generation. You won't be disappointed if you're looking for the tight controls the series is known to have: Ratchet & Clank controls like a dream. Ratchet & Clank is simply the best exclusive PlayStation has to offer. It’s graphics and charm are unmatched by any game I’ve played in the last couple of years. Insomniac has outdone themselves and brought back one of the most beloved PlayStation icons. This game is a masterpiece and a must play for all PS4 owners. Ratchet & Clank on PS4 is a great point of entry for newcomers to the franchise and a wonderful walk down memory lane for returning fans. Ratchet & Clank on the PS4 might not be an entirely new game given that it's based on the 2002 version, but Insomniac has done such a masterful job modernizing an already classic game that I would consider it one of the best releases of this console generation. The Ratchet & Clank reboot is one of the best exclusive games I've bought so far. It was worth it for only $39.99 (Php. 1,895.00), it's pretty affordable for a remake on the PS4 unlike other exclusives which usually goes to a full-price of $59.99 (Php. 2,595.00). It offers a better reintroduction to the series for all newcomers. Aside from being almost similar to the old version, the fantastic improvement on its aesthetics, decent level design, great voice actors behind the game, smoother controls, and the cinematic feel makes this game worth adding to your Playstation 4 library without a doubt. From the moment you load up Ratchet and Clank you are smacked in the face with absolutely stunning and vibrant graphics. I instantly started smiling and continued to do so for that long I lost count of time. 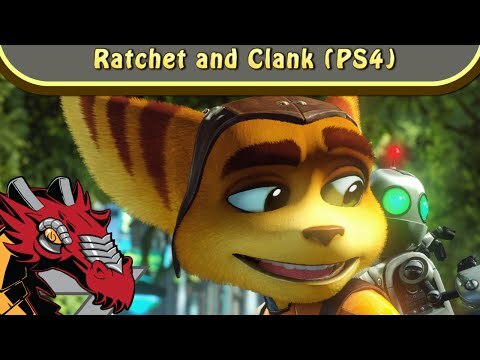 Ratchet and Clank follows on from the original story that we played through back in 2002, however this is not simply a remake/remaster, it's an entirely new experience regardless of if you have played the original or not. Made from the ground up to showcase the power of the PlayStation 4, Ratchet and Clank exceeded all of my expectations which were already set very high based on the trailers I had watched on the lead up to release day. Ratchet and Clank is the culmination of Insomniac's vast experience in the field of platformers. It's not just the best platformer on the PS4, it's one of the best games on the PS4 full-stop. A game of the year contender in my opinion. But how can a movie let you control the action, experience the thrill of destroying wave after wave of minions or dance to the music of a disco ball appearing in the middle of a battlefield? Stick with the game and tell your own tales. Then go see the movie. Remember, every hero's origin story gets a reboot and refresh from time to time. The Ratchet and Clank remake hearkens back to a very different time. It wasn't even that long ago and yet, it was indeed very different. But I'm not going to focus on past vs.
Ratchet & Clank offers fans and newbies alike a chance to re-explore the origins of two of gaming's most beloved characters. With a challenge mode filled with a significant amount of additional content, Ratchet & Clank is loaded with value, especially at its cheap price tag. Excellent voice acting, gameplay, boss fights, weaponry, and tongue-in-cheek dialogue leads Ratchet & Clank to find its way near the top of my favorite games of 2016 so far. Insomniac Games have crafted a beautiful reimagining of the original game that must be experienced by every fan of the series. It may not impress old fans of the series due to it being largely similar to previous entries but it will certainly impress new comers. The first Ratchet & Clank is one of my favourite games, and so is the whole saga basically. 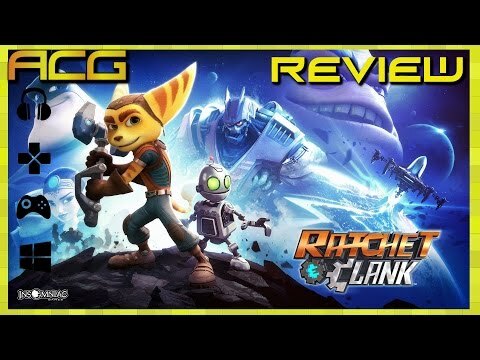 The latest games, 'Ratchet & Clank: All 4' One and 'Full Frontal Assault', went a bit off path from the classic 3D platformer genre and were in turn not very well received. 'Into The Nexus' took back the classic formula, but the game was so short, that it seems more of a teaser and left us wanting even more. This refresh, remake, reversion of the original, a sort of playable Pixar movie, is the perfect opportunity for any gamer to drop into this amazing space adventure saga. Ratchet & Clank is a fascinating reboot that brings back the good memories of the old times. A classic platformer with a colorful world and lots of different, detailed weapons that will keep you busy for a long time. The Lombax and his trusty robotic companion make their PlayStation 4 debut in style with an entertaining story, great gameplay, and a beautiful galaxy to explore. This is one of the PlayStation 4's best exclusives by a mile. Ratchet & Clank für PS4 ist mit Abstand einer der gelungensten Reboots einer Spieleserie der letzten Jahre. Der Kern des Spiels bleibt zwar weiterhin erhalten mit seinen kleinen Schwächen, aber alles runderherum wurde gekonnt überarbeitet und mit Unmengen an zusätzlichen Inhalten und einer aktuellen Grafik erweitert. Gerade die neuen Cutscene's vermitteln einen das Gefühl, als würde man schon den Film direkt spielen können und keinen überarbeiteten PS2 Titel. Von uns gibt es eine klare Empfehlung an Fans der Serie und alle die es noch werden wollen. Ratchet and Clank does exactly what is was meant to: retcon the series to include all of the expanded lore and present a good jumping on point for recent and new fans in preparation for the upcoming big screen debut. That's not meant to sound diminutive, either. It's a great game, and, in a generation lacking in good 3D platformers, comes as a godsend. Clearly, Insomniac put a lot of work into making the definitive origin story for the duo. That being said, it still feels like a missed opportunity to add something that fans haven't already seen. It's self-aware, it doesn't coddle you, the graphics will leave you in awe, it has a ton of action, and it's jam-packed with extra features and collectibles, to boot. If this review were just seven words long, it'd be simple to give the recommendation to anyone looking for a new game to play: Ratchet and Clank is just incredibly fun. Ratchet and Clank makes the rest of the current-gen remasters looks lazy by rebuilding the original game from the ground up and delivering a hilarious adventure full of enormous guns. 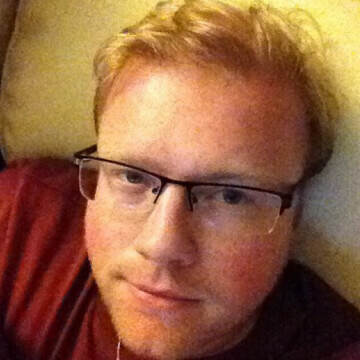 Ratchet and Clank isn't a remaster or a direct remake of the original because of it. More than anything the changes made in this reboot have improved on what made the first game so memorable. Insomniac Games has done a great job of taking the best elements of the original while upgrading both the gameplay and the graphics in order to appeal to modern players. Ratchet & Clank for the PS4 is a great reboot that's worthy of your time. Ratchet and Clank is a prime example of a genre of game we don't get too often anymore. Top that off with the fact that it is immaculately constructed and this game is a must own for every PlayStation 4 owner. Insomniac Games continues to prove why their games are always highly anticipated, and I cannot wait to see what they do next. Insomniac has not only reinvigorated a fan favorite but they've done it in their signature style. Ratchet & Clank is a return to form for the series. Without any unnecessary gimmicks or whistles, the game focusses on exactly what the game is about; exploration and fun. Ratchet & Clank is one of the best games on the PlayStation 4. It is filled with everything one can ask for in a great 3rd person action game that never takes itself too seriously. Now bring on that movie. Ratchet & Clank is a must-buy game for anyone who owns a PlayStation 4 and wants to enjoy a reimagining of one of the best 3D action platformers ever created. While I was left a little underwhelmed by certain elements of the story and the diminishing of Chairman Drek, Ratchet & Clank is every inch the game I hoped it would be. That the game is such an audiovisual feast is almost enough on its own to recommend this game to any Playstation 4 owner. Adding action-packed and compelling gameplay systems that reward at every turn simply tips the scale for what is an incredible package. This is a game that transported me back to my childhood and kicked up a storm of nostalgia. It is also proof positive that Insomniac have lost none of their sharpness, even after fourteen years of intergalactic travel. Ratchet & Clank is a must-play for PS4-owning action game fans, and long-time fans of the franchise will fall in love with it all over again. Ratchet and Clank packs a sentiment and graphically stunning punch, but remains imperfect beneath the surface. Ratchet & Clank is an upgraded version of the classic. It doesn't need to be much more than that, and what it does it does well. Ratchet & Clank is a fantastic game and a strong return of both the franchise and developer Insomniac, who have done an outstanding job. 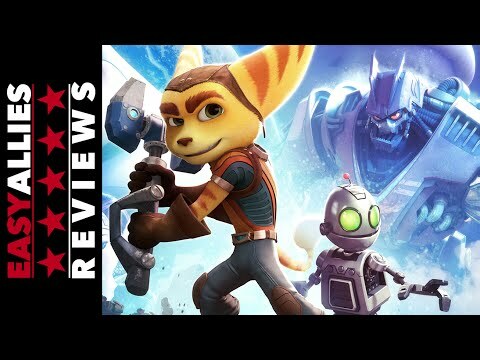 It doesn't concern itself with being a movie tie-in and, as such, it ends up being a true Ratchet & Clank game, one that any fan will have already played and an excellent introduction to make new fans. The series is known for its humor and weaponry and both are used to great effect here. Qwark and his sidekicks, along with the enemies, all have fun personalities amplified by clever writing and excellent voice performances. 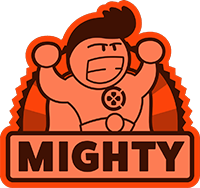 Though the game relies heavily on combat along with its platforming, it's a family friendly game in both action and character presentation. I knew that I was looking forward to revisiting Ratchet and Clank's origins, but I didn't know how much I'd really missed Ratchet & Clank until I got the opportunity to play it all over again for the first time, and this brand new experience is every bit as good as I remember it being 14 years ago. All in all, Ratchet and Clank is a reboot done right. It captures the same feel of the original game but is bigger, more polished and offers more content. This might not be the best Ratchet & Clank title ever, but it still lives up to the series' reputation for tight platforming, enjoyable action, and peerless presentation. Even with as much mayhem as the game brings to the table, it never forgets to make itself accessible and welcoming. It's easy to see why Insomniac is held in such high regard when it consistently delivers experiences as well polished and enjoyable as Ratchet & Clank. Everything, ranging from the gorgeous visuals to the excellent voice acting, the well-paced story, and the immaculate musical score, contribute to a timeless package well worth its surprisingly low entrance fee. Ratchet & Clank pays loving homage to its roots by enjoying the kind of lavish remix that only fourteen years of gaming evolution can bring to the table and, by doing so, has created a universe well worth saving. It's a great reboot/re-release. Maybe one of the best, but with a new story that doesn't focus on our heroes and the solidifying of their bond as partners I'm sure that newcomers to the series will only be staying for the fantastic gameplay, but quickly forgetting about the franchise once they put it down. More than just a remake, this feels like a lap of honour for Ratchet and Clank, with all the frantic action, bizarre weaponry and cheeky innuendo a fan could wish for. Being picky, you might say that it sticks a little close to the old templates, but at least it does so on a bigger stage with a spectacular sense of scale. Only time, sales and the movie's box office will tell if we'll see more of this dynamic duo, but I hope so. This is a pretty good way to make a new start. While Insomniac Games have largely gone the safe route with the rebooted Ratchet and Clank, it's still a fun game that will appeal to both old and new fans alike. The visuals are gorgeous, the gameplay retains the tried and true formula of past entries, the story has been fleshed out and levels have been rebuilt from the ground up. It's a testament to the fine talent at Insomniac Games and is a love letter to the series as a whole. Whether or not you played or remember the original, Ratchet & Clank on PS4 is worth picking up for anyone interested in great looking action, occasional puzzles and platforming. The new Ratchet & Clank is half a reboot, half an original adventure. It has the old school gameplay, surprising new weapons and gadgets, and a huge veriety of situations to support an interesting adventure. The last part of the story mode, however, becomes too easy and too messy when the weapon upgrade system neutralizes the level of difficulty. Shorter than the original Ratchet & Clank, is a great comeback for the duo anyway. Ratchet & Clank is a return to form for the series, but anyone looking for something more than that may be disappointed. The game tugs on many of the original's addictive strings, but is also bogged down by a few slower, more passive segments. Neither evolutionary nor revolutionary, Ratchet and Clank is gorgeous trip back down memory lane that reinvigorates a passion for a genre which never really should have gone away. Hopefully it paves the way for the future of the series on PS4, even if the film proves not to be successful.